Have you dreamed of becoming a unicorn princess? Well then this tutorial is for you! No unicorn princess is complete without a prism of rainbows shimmering across their cheeks! 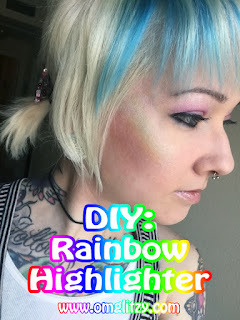 I first saw the rainbow highlighter craze on Instagram when Bitter Lace Beauty first launched their product. Their small independent business exploded overnight. The original product now has a 9-10 month preorder! Due to the long wait, many people came up with a "DIY" version that you can create at home. I followed several guides to see if I could make my own and took some pics of my process! Hope you enjoy! Hey everyone! 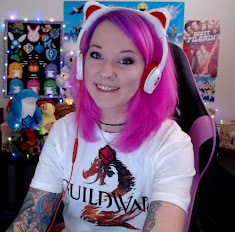 A big huge update is coming to Guild Wars 2 next Tuesday (the 26th) with the introduction of Living World Season 3! 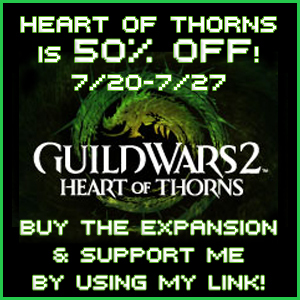 If you don't have the expansion yet and have been thinking about getting it now is the perfect time because Heart of Thorns is currently 50% off today through the 27th!! Also for anyone interested in the Free to Play version use my link for that, too. 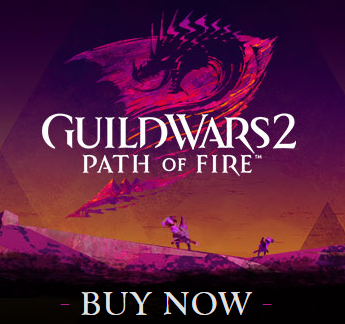 Remember the sale is only for a limited time!